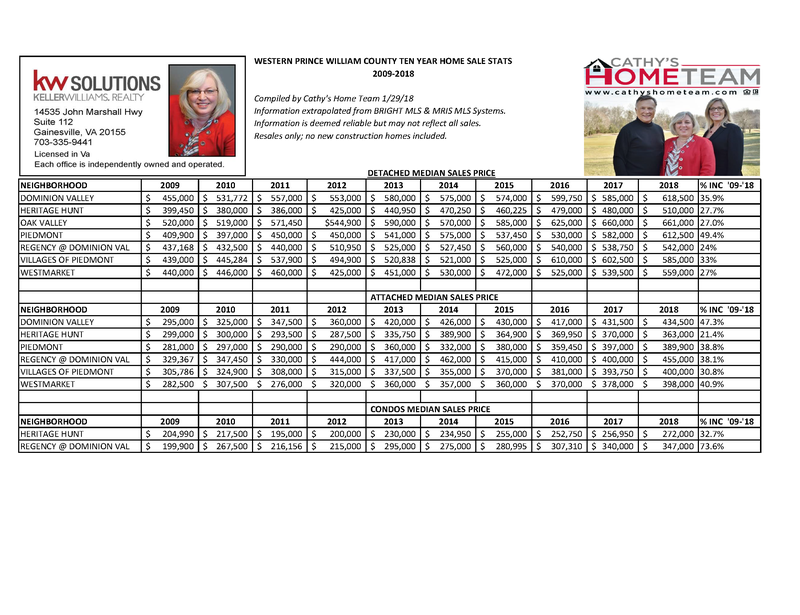 Cathy’s Home Team spent the month of January 2019 compiling a ten year history of home sales in seven neighborhoods in Gainesville/Haymarket, VA. This report is the detailed record of median home re-sale prices in each neighborhood. We conducted this report because 2009 was the bottom of our market during the Great Recession. We wanted to ascertain how home sales had risen from that ten year low until end of 2018. And wow did they ever! Check out this detailed analysis and then read our Newsletter that is also uploaded on this blog for our view and overall analysis of our market.